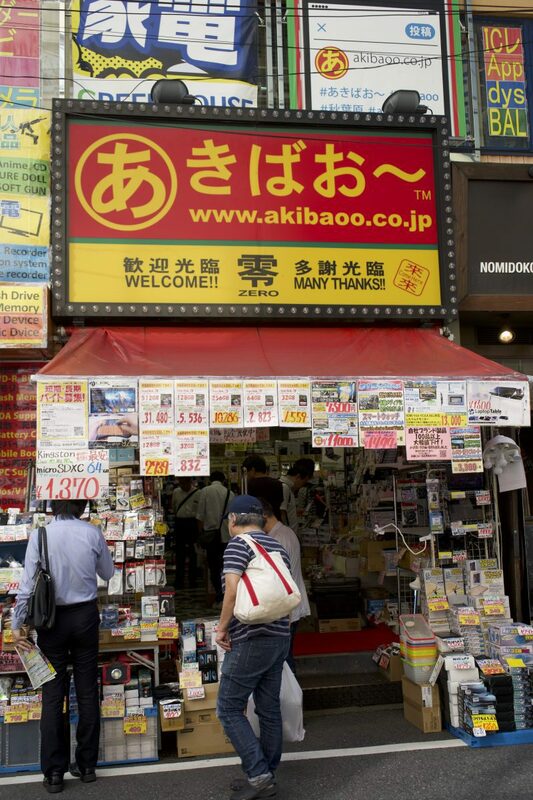 Akihabara(=秋葉原) has a long history as the center of electronics in Tokyo. After World War II, Tokyo saw a boom in black markets, as residents struggled for money. One of of the black markets in Akihabara, a student started a popular handmade radio equipment shop. The popularity of his shop drew others who started dealing other electronic devices. As the market grew, along with the chaos, all the vendors were ordered by the General Headquarters of the Supreme Commander for the Allied Powers to move aggregate in what is now known as Akihabara Electric Town. 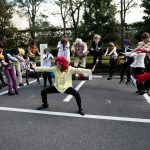 Since it has evolved to become not only the center of electronics, but of the derivatives and subcultures brought about by electronics, the otaku subculture for example. Today, there are hundreds of shops selling various electric goods. Some of these are small and independent, others are gigantic towers owned by conglomerates. The most most notable of these is without a doubt Yodobashi Akiba, ヨドバシAkiba, the megastore branch of the Yodobashi Camera retail chain. We’ve strolled the entire complex from bottom to top, taking notes and studying it’s products. Here’s a comprehensive summary of what you can find in each of the 9 floors of Yodobashi Camera Akihabara. And if Yodobashi is too much for you, don’t worry, we’ve covered a couple alternatives. 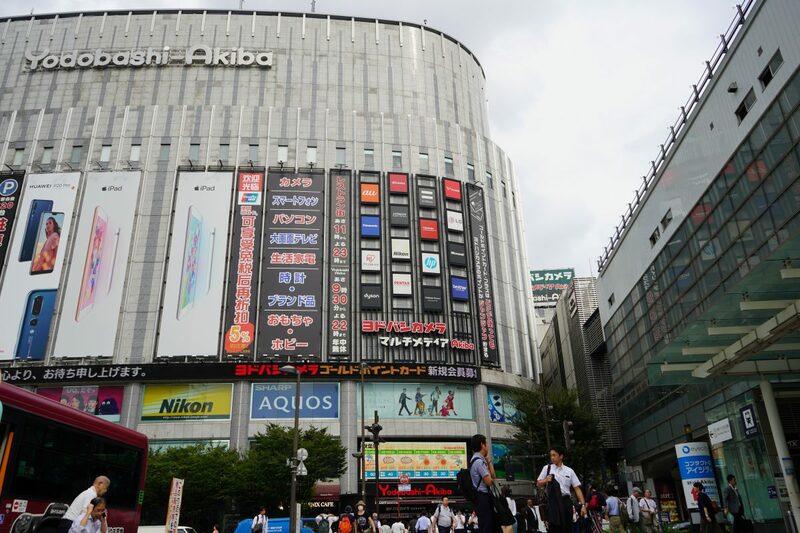 WHERE TO FIND YODOBASHI AKIBA? WHEN IS YODOBASHI AKIBA OPEN? The Yodobashi Akiba, ヨドバシAkiba, megastore is the largest Yodobashi Camera branch in Tokyo. Quite frankly, it is the largest electronic store I’ve ever seen. For those of you from North America, imagine Best Buy on steroids, then double that in size. 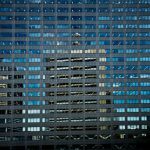 The Yodobashi Camera in Akihabara is a massive 9 floor buildings with possibly any electronic device you’ve ever thought of, as well as those you’ve yet to think of. Yodobashi Camera is especially popular with tourists from Asia who can easily travel to Japan to buy household items and have them shipped to their countries. 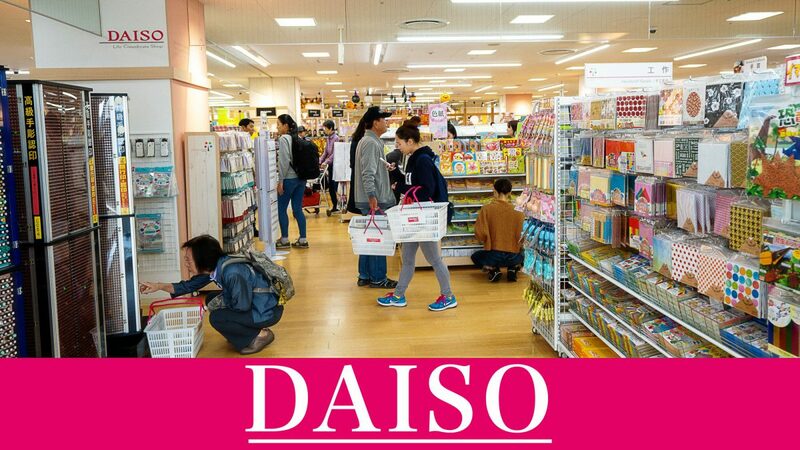 Besides it’s size, and inevitably it’s endless selections, it is also a Tax Free store for those who hold a foreign passport and do not reside in Japan. odobashi Akiba is located near the Akibahara Station. Once you’ve reached the Akihabara Station, get out from the Electric Town exit and just follow the map embedded above. You should normally be able to see from the station gate. Yodobashi Akiba is open from 9:30 to 22:00 from Monday to Sunday. It is open everyday of the year. he first floor of Yodobashi Akiba is in one word: hectic. Upon entering you’ll notice a bazaar-like ambiance with sellers trying to attract you to their products. Those are competing phone providers. 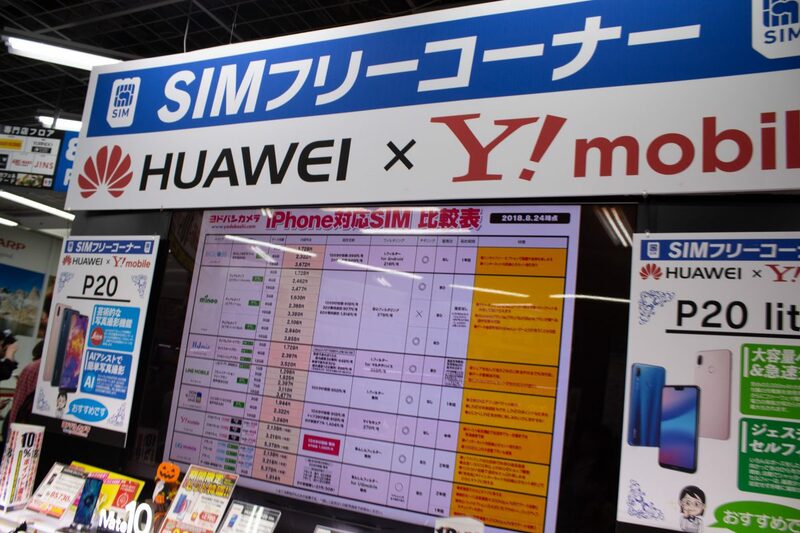 Those looking for a contract, either with Docomo, au, and Softbank can easily compare all three options at once there. For those who’d like cheaper options, or prepaid sims, you can also find those there. A little further lie the computer section. There are both desktop computers and laptops. A large portion of the selection is however Japan specific and may not come with an english keyboard or preinstalled operating system. On the other hand, if you’re eyeing a Japan specific model of a brand, you’re unlikely to find it in other countries. There is also an Apple authorized reseller on the first floor. It holds all the Apple products and options you would normally buy at the Apple Store. You’ll also find a variety of Mac compatible accessories which can be quite handy. Finally, if you’re anything like me, chances are you’ve eagerly packed your camera for travels, only to arrive at your destination and finding out the memory slot is empty. 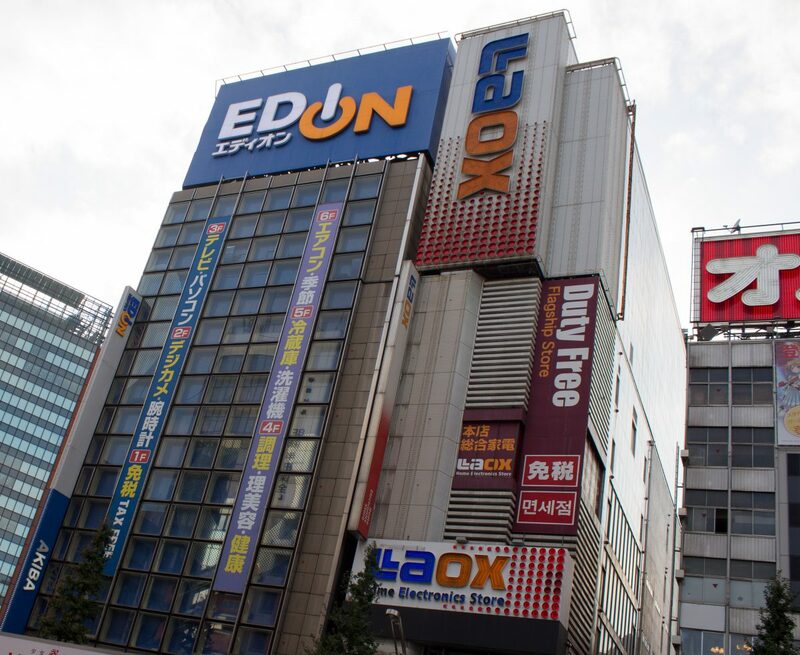 Worry not, you can find a variety of formats and capacities on the first floor of Yodobashi Akiba. It is strategically placed on the first floor so those in need do not have to roam the store. You can simply walk in, grab the card, walk out, profit. odobashi Akiba’s second floor contains all the things for your PC. This is where accessories and peripherals are located. As standard, you’ll find printers, scanners, mice and keyboards, among others. Although in this day and age most software is purchased and downloaded online, you can alternatively buy them there. This is especially useful if you do not have a credit card and need to buy the software or license with cash. For the more techie ones, computer parts are also sold here. 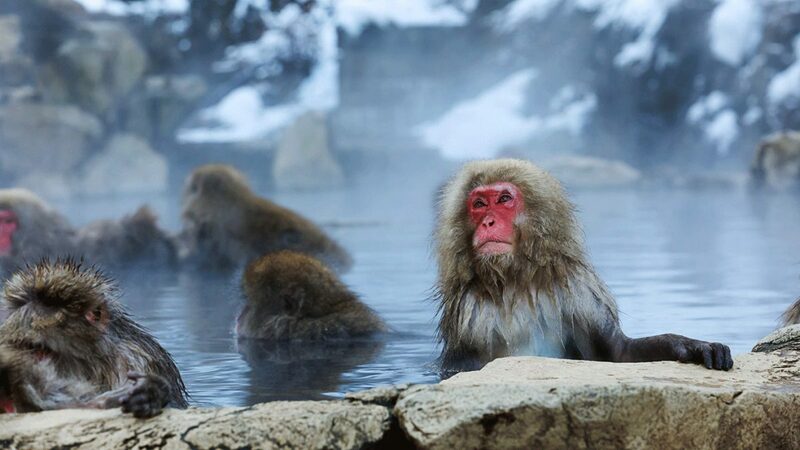 They go at a decently competitive rate by Japanese standards. This is however in no way a specialized store. If you’d like to extensively browse through options before buying, or are looking for something more specialized, check out some of the computer stores on and around the main street. 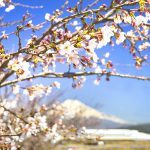 Those looking for electronic dictionaries to help with their Japanese studies will also find them here. They are slowly dying out because of smartphones, but these devices can be extremely handy, and do not require an internet connection. Yodobashi Camera Akiba third floor. 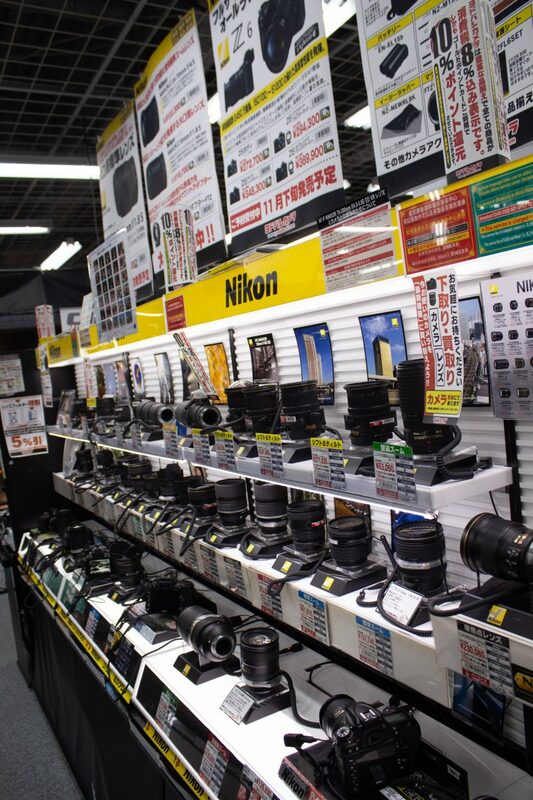 This floor of Yodobashi Akiba is mainly for cameras and camcorders, and their accessories. There is an amazingly large and broad selection of film cameras as well as digital cameras. All the popular brands, including, of course, the Japanese giants such as Canon, Nikon, and Sony. All the popular models of the brands are also represented. They have beginner and hobbyist cameras, and professional gear. They also have plenty of lenses compatible with each of the brands. This section truly reminds us where the name Yodobashi Camera stems from. As a newly converted camera enthusiast, I had loads of fun trying out the various models. Those looking for film, whether it be monochrome, negative or instant should also head here. A slightly smaller portion of the floor, but one just as interesting has the beauty and cosmetics products. These range from blowdryers, flat irons, razors, to some of the most inventive, and sometimes ridiculous things. Among those is facial fitness PAO, made famous by a hilarious commercial featuring footballer Cristiano Ronaldo. English. Be sure to ask the staff to help you find one that will work in your home country. 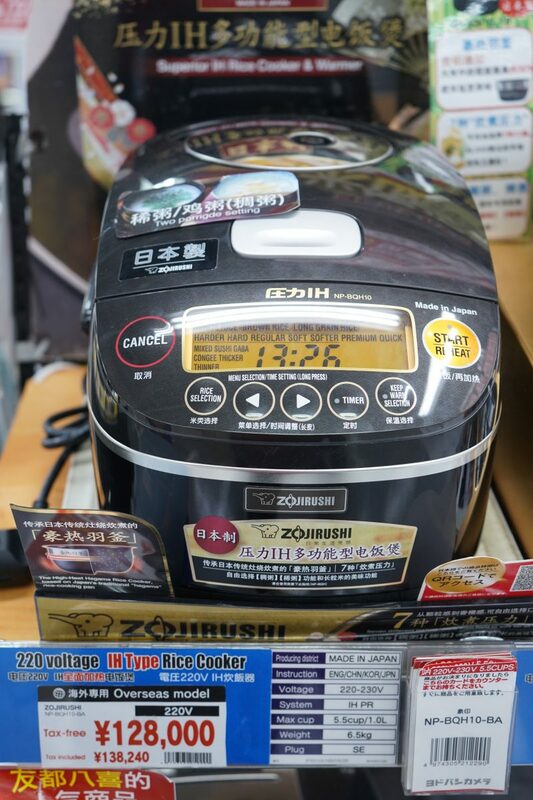 These rice cookers can be quite pricey, but they are worth it considering their quality, solidity, and the technology behind them. Yodobashi Camera Akiba fourth floor. The fourth floor looks like any other consumer electronic store you’re used to in your countries, be it Best Buy, Saturn, or whichever exists in your country. I has TVs as large as can be, with an image quality so crisp it reveals the pores of the actors trapped inside. This is also where you’ll find media players and a plethora of headphones. This floor also contains electric instruments like electric guitars, electric drums, MIDI keyboards as well as studio equipment. The floor above contains home appliances. Fridges, washing machines, lights, etc. Some of those can be surprisingly advanced, as well as pricey. The star of the show, however, is the toilet seat. As you’re very likely aware thanks to this digital age we live in, in Japan very often toilet seats are heated and come with a buttons. These buttons act to do various things, such as activating the bidet, or playing music to hide the embarrassing noises you might produce. It is truly a shame such a wonderful technology has not caught on in other places in the world. There is nothing sadder than a frozen cold toilet seat in mid January. This is the fun floor of Yodobashi Akiba. You’ll find countless video games of the news generation of consoles, and some for the older ones. The Xbox section, because of its lack of popularity is not as well covered as the Playstation and Nintendo sections. There are demos you can try as well, if you don’t mind your skills being judged by fellow shoppers. 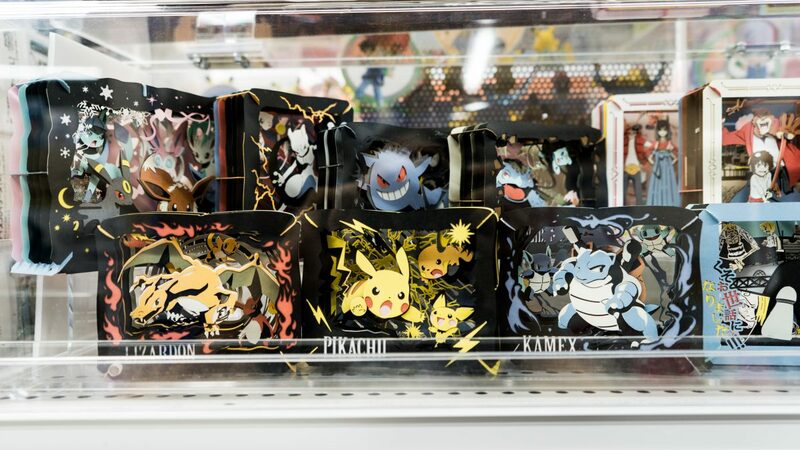 You’ll also find toys, such as models, trading cards, figurines, among others. Those looking to buy music might also find what they’re looking for here. This is probably more useful for those staying in Japan, but one can also find bicycles on the sixth floor, including electric power assisted ones, and decent road bikes. Finally, this floor contains fitness equipment, such as aero bikes and even protein powder. his floor contains everything else. Fashion items and accessories can be found here, as well as eyewear and books. More importantly, there is an Apple repair counter in case you’ve run into problems with your beloved iPhone or MacBook. The eighth floor of Yodobashi Camera Akihabara is the restaurant floor. It has a variety of different standalone restaurants ranging from ramen, conveyor belt sushi, and Japanese style barbecue. There are over 20 restaurants on this floor. 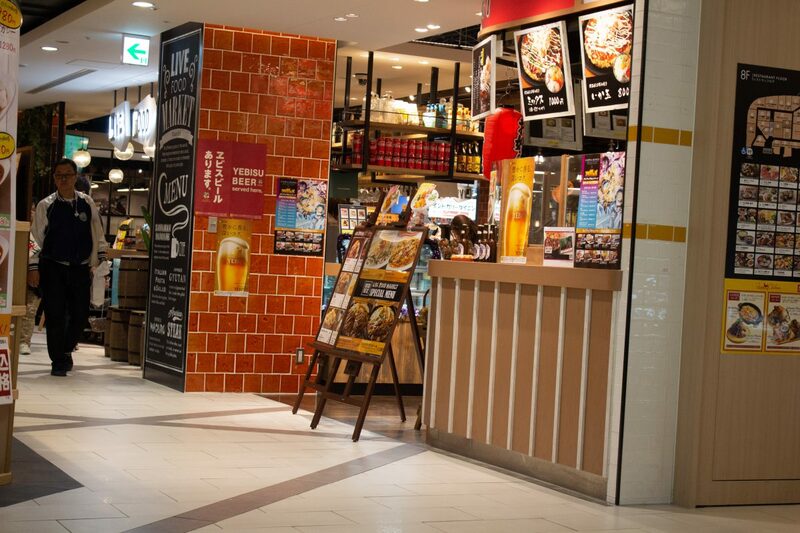 Check this link to their website for an idea of what foods you can find at Yodobashi Akiba. he 9th floor is dedicated to golf. There’s also a driving range, and some batting cages, which I must say, is quite cool. Akiba oo has various locations scrambled around Akihabara. It seems each of the stores sells a little of everything, instead of having individual stores being dedicated to a type of product, although the site disagrees with me. Akiba oo stores are a bit chaotic to say the least, and are very popular with locals. After checking it out, it makes sense. The prices are amazingly cheap and it should be everyone’s go to place for things such as SD cards and other small electronic goods and accessories for phones and computers. 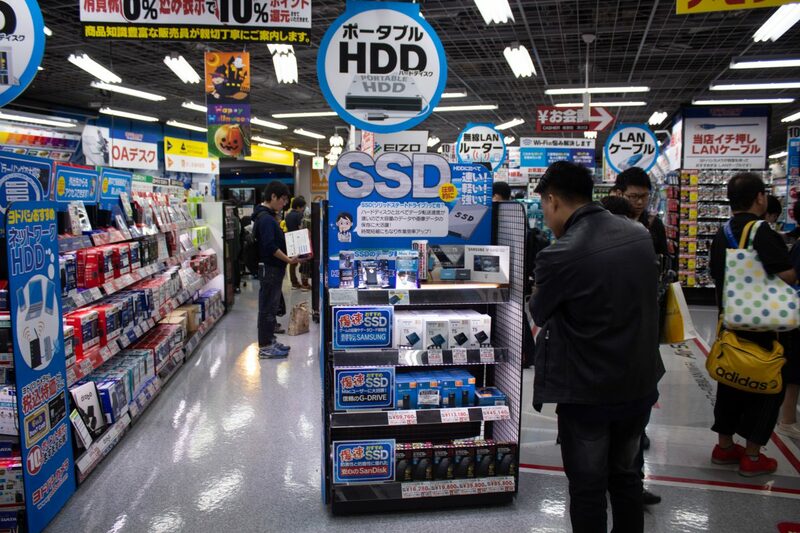 If you look closely on the picture, you can notice that a Kingston 64 GB microSDXC is being sold there for ¥1370 ($12). This is probably the cheapest you’ll find it in the market. Moreover, they have a great DIY section for those looking for tools and various items for your next project. Checkout this link for all the locations. It’s in Japanese but google translate the link and it’s fairly manageable. We’ve also checked out these stores to see what they have to offer. As they are much smaller than Yodobashi Camera, you will not find as much in those. 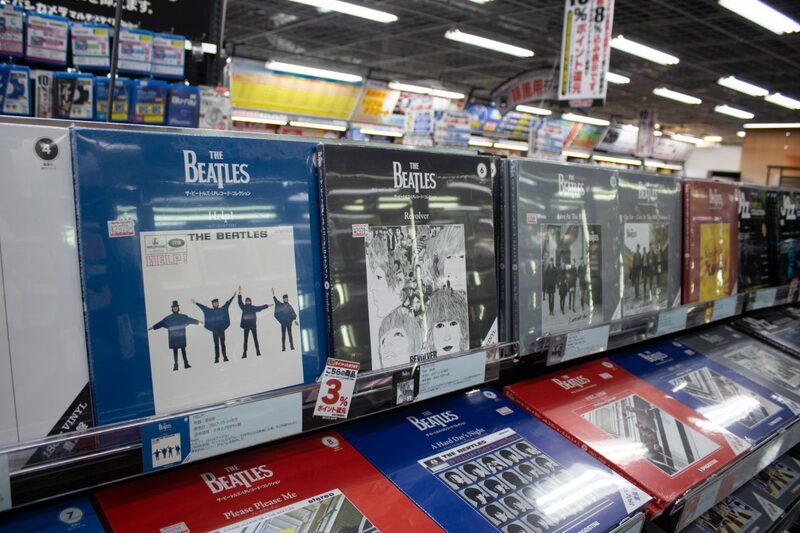 If you are looking to purchase cool electronics while in Japan, you probably do not need them. If, however you are looking to purchase house appliances for your house, give them a look at for the sake of price comparison. Laox, in particular would appeal to those looking for Chinese products. Most of the staff, and the clients are Chinese. They have various products catering to those coming to Japan from China, including a section with Chinese medicine. They also have a small halal section. However, it’s so small, you’re better off going somewhere else if you’re looking for halal products. We found that overall, in most cases a trip to Yodobashi Camera alone is enough to find all you’re looking for. If you’re looking for cheaper options or are looking for basic phone accessories, Akiba oo is a good option. Don’t limit yourself to these stores though. 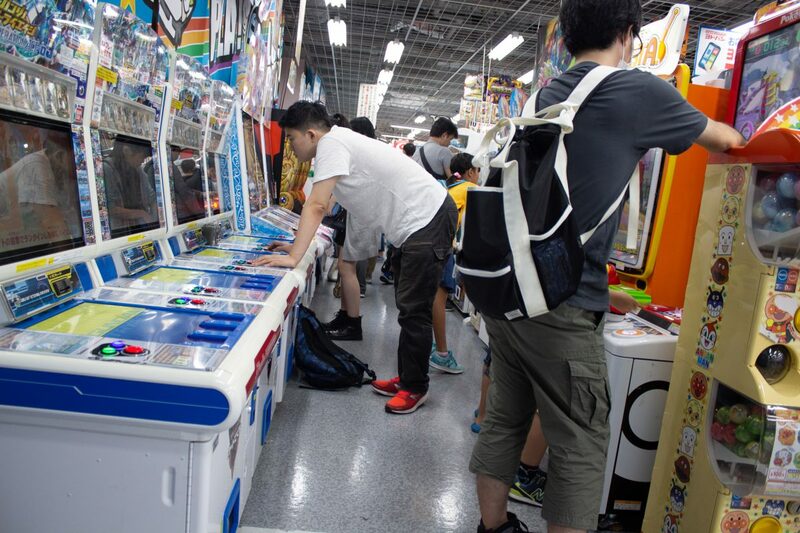 By wandering around in Akihabara you can find a few hidden gems. I've always had an interest in Japanese otaku culture and am an avid consumer of manga, anime, and video games. 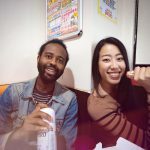 I've now lived in Japan for four years and am currently a graduate student in biomedical science. I had been waiting for him so badly! !